Is it getting harder to stay on track? Some tips for strengthening your willpower. It’s already November. This semester has been speeding by, and many students may be feeling increased stress because of the accumulation of work and knowing that final exams are quickly approaching. Although you know how important it is for you to remain focused on your academic work now, it may seem difficult to keep up the motivation to do so. Are you wondering how you might find the willpower you need to stay on track and not let yourself get distracted by all the temptations around you that may seem more enjoyable – hanging out with friends, watching Netflix, going shopping, napping, checking out social media, watching YouTube videos, making playlists? How can you go about resisting these short-term temptations, so that you can meet your longer-term goals. Can you strengthen your self-control? Roy Baumeister is a social psychologist who is a leading researcher in the area of willpower and self-control. He describes self-control as one of the most powerful keys to success in life. With more self-control we could eat right, exercise regularly, avoid drugs, tobacco and alcohol, stop procrastinating, get our work done on time and other important goals. Baumeister’s research has led him to the conclusion that people may have a limited amount of willpower that can be temporarily depleted. 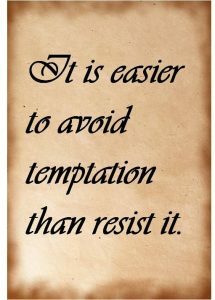 In other words, if you are using your willpower to resist a temptation in one situation, your supply of willpower will temporarily go down, leaving it harder to resist the next temptation. Research in psychology has shown that, after engaging in a task that required them to use their willpower and control their impulses (e.g., resisting freshly baked cookies while hungry, tracking a boring display while ignoring a comedy video), students showed poorer performance on a subsequent task that also required willpower (solving difficult puzzles, continuously squeezing a hand grip). 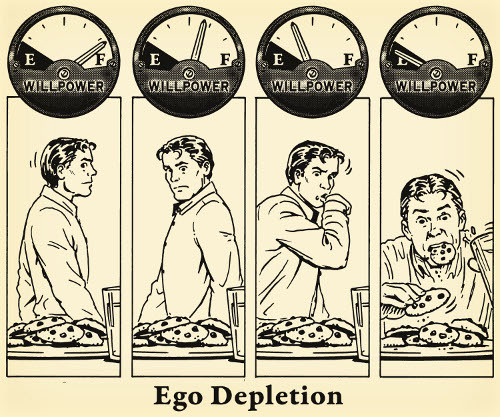 Baumeister compares willpower to a muscle that gets tired after heavy use, calling the effect “willpower depletion” or “ego depletion”. Using your willpower all day long (making decisions, resisting the impulse to do things that you know you shouldn’t, sitting through required activities when you’d rather be doing something else) may not leave you with enough willpower to accomplish all the things you need/have left to to do in the evening. Although this may seem grim, don’t worry. Psychology won’t leave you without some suggestions to help. 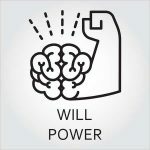 Luckily, psychological research has found ways both to avoid needing to use (up) your willpower, as well as ways to strengthen your willpower so it is available when it is needed. 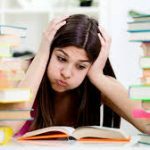 Firstly, you can avoid depleting your willpower by not exposing yourself to tempting experiences – if you want to drink less, don’t buy beer or go to bars; if you want to stay off your phone while you are studying, put it away and out of reach; if you want to avoid all the distractions of home, study in the library. People with high self-control actually spend less time using self-control, because they set up their lives to run smoothly, stay out of trouble, and avoid temptation in the first place. If you work smart, you won’t have to depend on willpower to get things done. For example, if you structure your day so that good study and schoolwork routines become “a habit”, a regular part of your daily routine, you won’t have to use willpower to accomplish them. 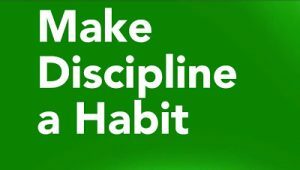 Just like brushing your teeth or washing your face on a regular basis doesn’t take a lot of self-control because they have become a regular part of your daily routine, good study “habits” that become a consistent part of your day also won’t require as much willpower to complete. You may want to make it a habit to get your work done as early in the day as possible, since you may be willpower-depleted by the time the evening rolls around. Having a plan in place ahead of time (an “if-then”) may allow you to make better decisions without having to draw on your willpower. IF my friend asks me to go to the mall with her, THEN I’ll say “Thanks for asking, but I really can’t tonight.” IF I start feeling tired in the middle of the afternoon, THEN I will allow myself to nap only for one hour. IF I really want to watch a show on Netflix, THEN I will make sure that I have read two chapters in my textbook first. 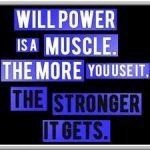 You can also build your willpower. Like a muscle that can become exhausted by exercise in the short term, willpower can be strengthened by regular exercise in the long term. Regularly exerting self-control on simple activities (like remembering to sit up straight, or to put away your clothes before bed, or trying not to swear) may improve overall willpower strength. And, according to Baumeister, there is just one “self-control muscle”, so if you exercise your self-control in one area, it will help build self-control in other areas. Students who practice exercising regularly may show greater self-control in other areas of their lives, such as snacking less, studying more or washing more dishes. Practice using your self-control in many situations throughout the day. Evidence suggests that willpower is tied in to the body’s basic energy supply, and willpower-depleted individuals might be low on energy. The brain is an organ that requires a lot of energy, perhaps especially when working hard to maintain self-control. Energy in the body comes from glucose or blood sugar. 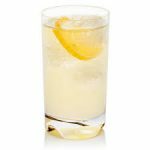 In one study, restoring glucose through drinking sugar-sweetened lemonade was found to replenish depleted self-control. So, eating regularly to maintain blood sugar levels (not necessarily eating sugar) and not skipping meals can be important aids to maintaining your willpower. Finally, it appears that being in a positive mood can also help to overcome willpower depletion. 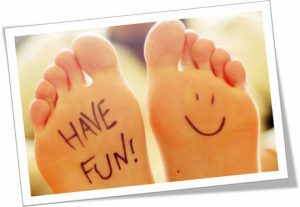 So, make sure to also leave some time for fun and enjoyment, at the same time as you are trying to use your willpower.